I wanted to install TensorFlow GPU on my Kubuntu System (currently 16:04 LTS but I believe it also works for 18.04LTS). I am interested in trying TensorFlow with both Java and Python, I have done some testing with Python so far. Java I will try later. I first updated my system to ensure that all the packages were up to date, and I also used the Driver utility to install the NVidia Driver, version 396.54. 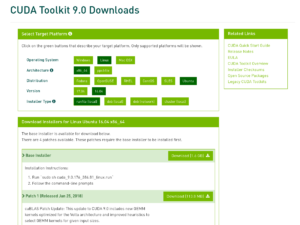 TensorFlow uses Cuda 9.0 at the minute so you have install the version, you can get it here. I use the local runfile, this is as it is an easy way of getting cuda installed in /usr/local and the samples installed in your home directory. If like me you have already installed the Nvidia drivers, skip the step to install the drivers as its not required. I choose the local run file. Once you have it downloaded run it, remembering to skip the driver install if you have them installed already. TensorFlow also needs Nvidia cuDNN to work, you have to join as a Nvidia developer and then you can download this, pick the version for Cuda 9.0. 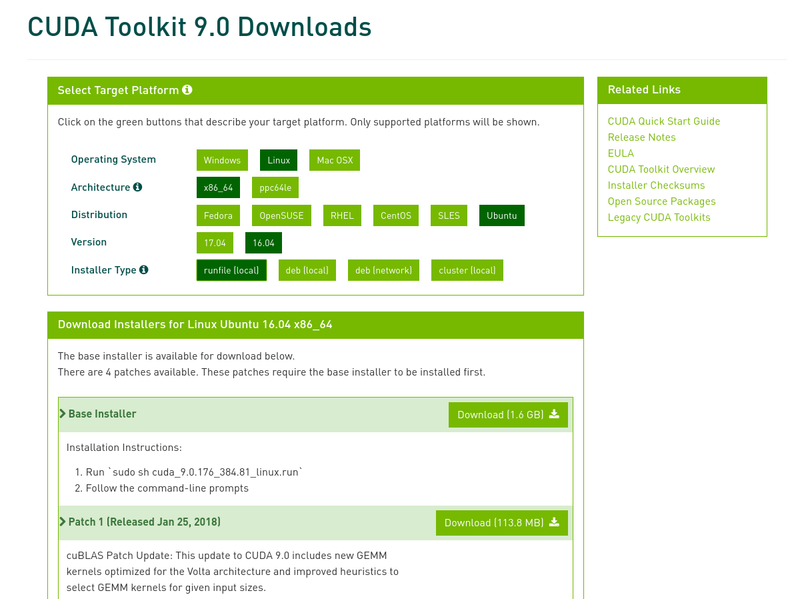 Choose the version for cuda 9.0. This can easily be installed in the terminal. Note that I have a symlink from /usr/local/cuda to /usr/local/cuda-9.0/. That is cuda installed, you can check it is working by compiling one of the samples that use it. Next install TensorFlow, I did this in the python evironment, the full details are here. As I have a Tesla K20 in this system I installed the version with GPU support. I use python 3.5. (environment_dir)$ python -c "import tensorflow as tf; print(tf.__version__)"
phil on WP HTTP Error: connect() timed out! whargoul on WP HTTP Error: connect() timed out!